Warning! 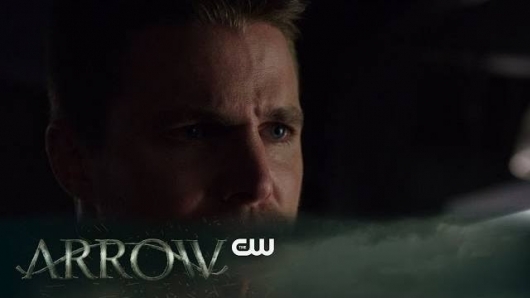 Do not proceed if you haven’t seen the fall finale! 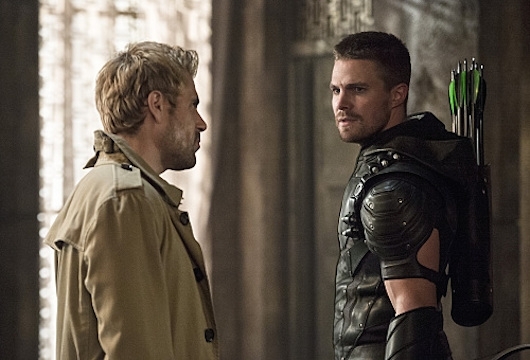 The fall finale of Arrow last month ended in bullets and blood. 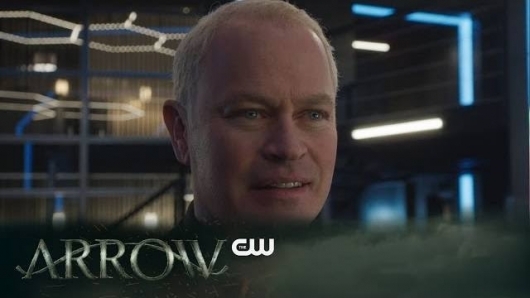 It started out as a simple retaliation episode – Darhk (Neal McDonough) attacks a community event with children involved. 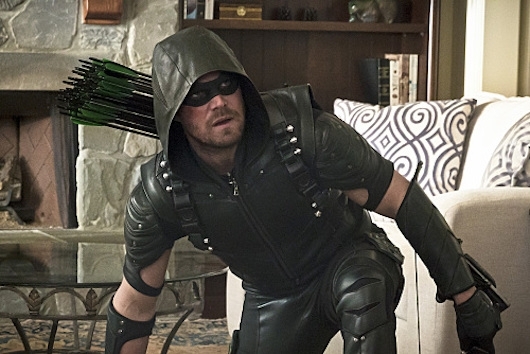 Oliver (Stephen Amell) outs him to the media and thus the world. 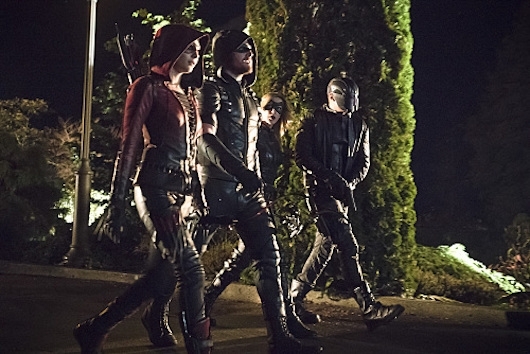 Darhk kidnaps Thea, Felicity, and Diggle (Willa Holland, Emily Bett Rickards, and David Ramsey) with the intent to gas them to death. 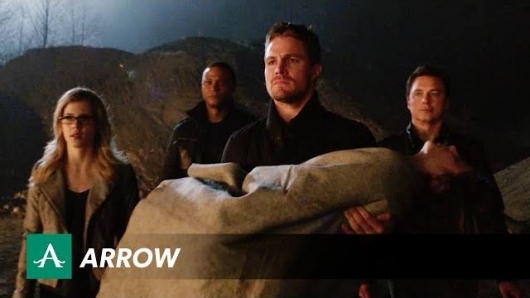 Oliver, Laurel (Katie Cassidy), and Merlyn (John Barrowman) save them and Merlyn seems to blow Darhk up. Things almost seem happy. 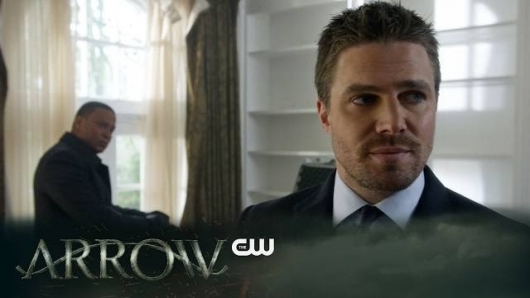 Lance and Felicity’s mom (Paul Blackthorne and Charlotte Ross) are an item, and Oliver proposes. 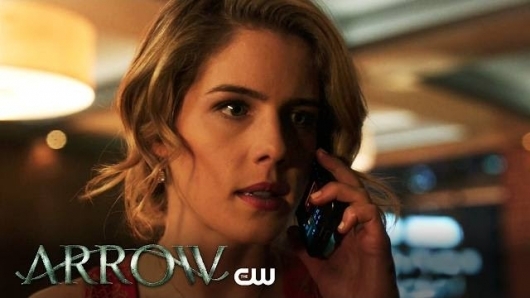 Then… their limo is attacked, Felicity is shot, and Darhk is alive. What?!?!?! ?